Now, a group of insect specialists have joined forces in the name of their love for beetles, and compiled their findings from the last three years, reporting another 303 species for New Brunswick, including thirty-two species new to science. 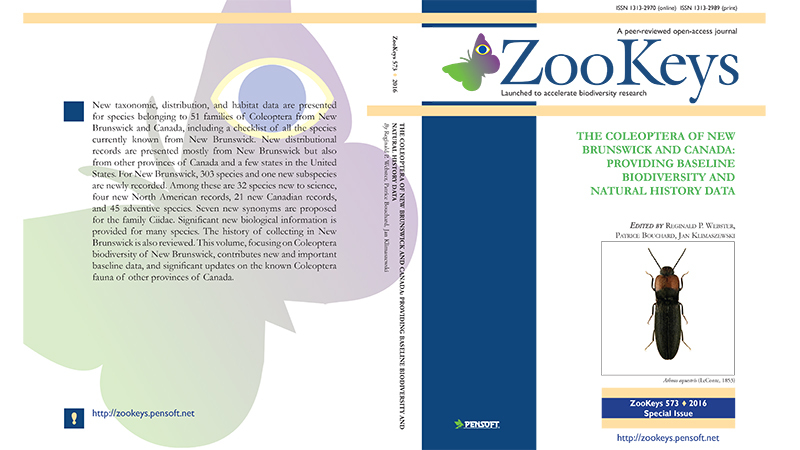 All of these records are published in a special issue, titled “The Coleoptera of New Brunswick and Canada: Providing baseline biodiversity and natural history data” of the open access journal ZooKeys. “This information constitutes a baseline of biological knowledge that is critical to support other branches of science,” point out the authors.